Tony Horton is the wildly popular creator of the best-selling fitness series: P90X®, P90X2®, P90X3®, and Ten Minute Trainer®, and most recently his 22-Minute military inspired workout, 22 Minute Hard Corps®. 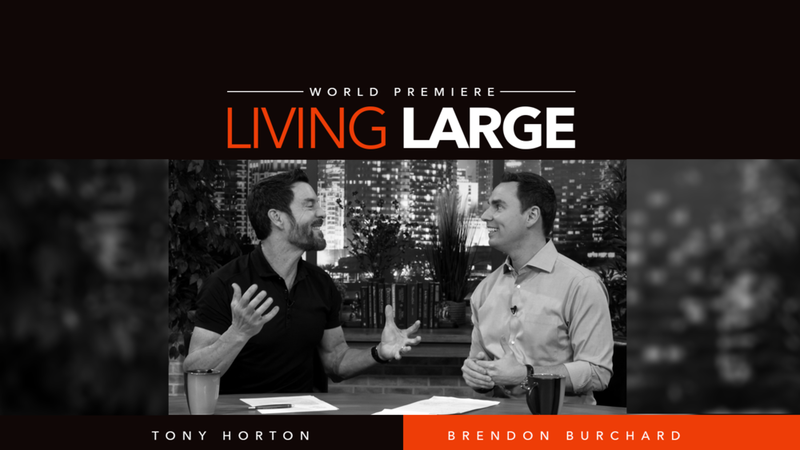 Tony is a world-class motivational speaker and the author of top-selling books “Bring It”, Crush It!” and his latest motivational book, “The Big Picture” 11 Laws that will change your life. He has appeared on countless television programs as a fitness and lifestyle expert to promote healthy living through exercise and proper nutrition. In keeping with Tony's passion for a healthy lifestyle, he's teamed up with the beauty experts at Ultimate Salon Professionals to create his new hair and skincare line, TH Care by Tony Horton, because he believes what goes on your body is just as important as what goes in it. Your taste buds will be delighted by the fresh approach to seasonal flavors in this meal plan. Wow your friends this holiday season with this Tony Horton approved vegan, gluten-free pumpkin pie! Are you Hiding or Seeking? Shakeology Nutty No-Bake Cookies. YUM!